Provides material handling systems for the plastics industry, located in Dacula, Georgia. Wholesale textile supplier of woven and knitted fabrics with offices in Dacula, GA and Iva, SC. Over 20 years of experience, wedding, and portrait photography. Stone Mountain, and Dacula. Classic portraiture of children, family, high school seniors and weddings located in Dacula, Georgia. Offers full care boarding and training. Includes board fees and photos. Located in Dacula, Georgia, United States. Dacula firm specializing in graphic and web design, and interactive media. Also provides prepress and printing services. Includes portfolio and contact. Home of the Dacula Soccer Club in Gwinnett County, Georgia, a new youth soccer organization. Dacula Soccer Club located in Gwinnett County Georgia, provides recreational co-ed soccer leagues. located in dacula. sales and installation of monuments, coping, gravel. cleaning & engraving service to metro atlanta cemeteries. SiteBook Dacula City Portrait of Dacula in Georgia. 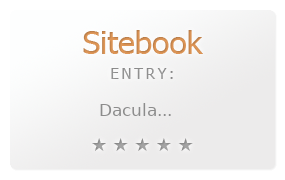 This Topic site Dacula got a rating of 4 SiteBook.org Points according to the views of this profile site.